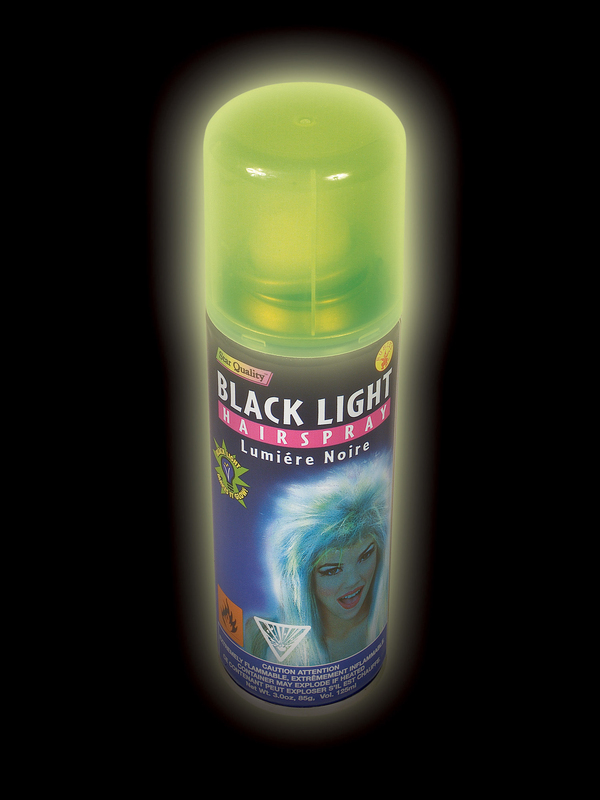 Create a fun and unique look when you use the Black Light Hair Spray. Your hair will glow in the dark when applied, and it can be used to enhance any costume. A wonderful surprise when you walk into an unlit room. Impress everyone with your glow-in-the-dark hairdo.